In a culinary world that has overwhelmingly embraced the “farm to table” concept, everyone’s favorite Tequila producer, Patrón, has released its first spirit that can truly be described as “farm to bottle.” The unique flavor and quality of Patrón tequila can be credited to the painstaking and time-consuming process that it uses to harvest, ripen, ferment, and distill the Weber Blue Agave that it has traditionally sourced from throughout the Highlands region of Jalisco, Mexico. 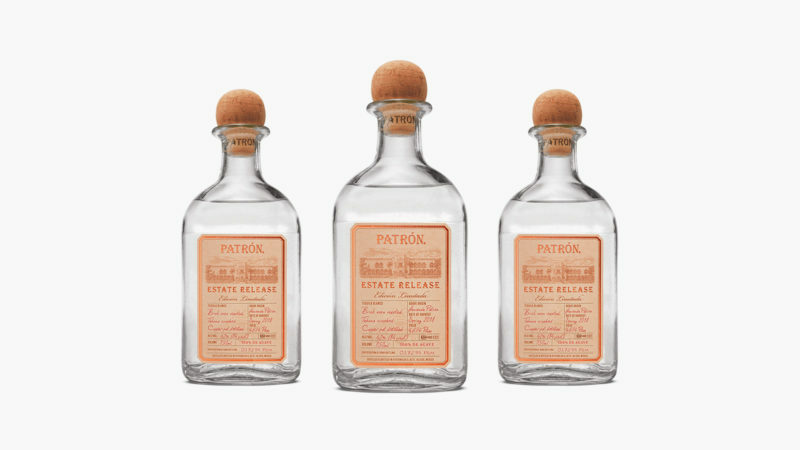 The new Patrón Estate Release Limited Edition Tequila, however, stands apart from former Patrón releases because all Weber Blue Agave used in its creation comes directly from the grounds that surround the Patrón Hacienda distillery in Atotonilco el Alto. According to Patrón, the specific characteristics of the soil around its distillery lends the 84-proof Estate Release a unique herbal, citrusy flavor and a floral, peppery finish.